Getting everything that you desire in your next family vehicle just might be easier than you think! 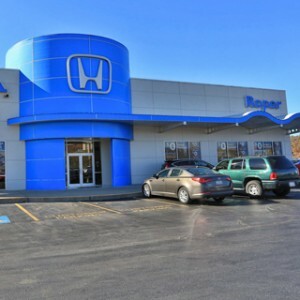 Our neighbors in Mid-Missouri already know the Pilot as one of the most spacious, capable, and dependable three-row crossovers on the road—but that’s not all that defines this celebrated component of Honda’s All-Wheel Drive lineup. 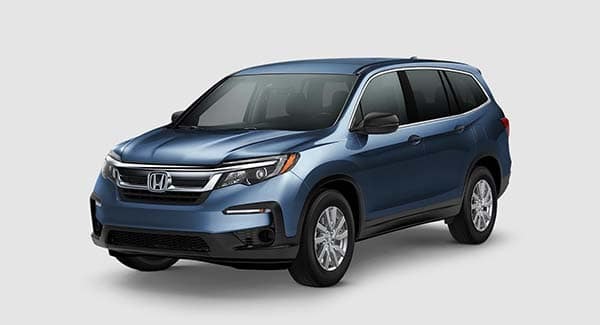 The 2019 Honda Pilot’s trim levels are offering more safety, entertainment, and comfort than ever before, and as the experts at Top Speed have already claimed, this year’s updated model may just be the “Best Pilot Ever”! We’ve broken down the Honda Pilot’s standard features by trim level in the space below. You don’t need to break your budget to access one of the most versatile three-row crossovers available anywhere today! The Pilot’s baseline LX trim is available for $31,420 MSRP* (2WD 6-Speed Automatic), and even here, its array of standard features makes it an incredible value. 280-hp V-6 Engine: With 280 hp, 262 lb.-ft. of torque, and up to 5000 lbs. of towing capacity with All-Wheel Drive, the Honda Pilot has the strength to take you anywhere you want to go. Interior Versatility: The Honda Pilot ordinarily offers a remarkably spacious passenger area, capable of seating eight in 152.7 cu. ft. When you need more cargo space, simply fold both rows of rear seating flat with the floor! You’ll more than triple your available area. Honda Sensing: The Honda Sensing safety package includes a Collision Mitigation Braking System, Adaptive Cruise Control, a Lane Keeping Assist System, and a Road Departure Mitigation System. They’re now standard on every Pilot trim. Even in its EX trim, the Honda Pilot offers an exceptionally broad array of powerful entertainment features. Although this upgrade is just $34,330 MSRP* (2WD 6-Speed Automatic), it’s also been equipped with even more safety and comfort features. Apple CarPlay and Android Auto: Android Auto and Apple CarPlay maximize the value of your compatible smartphone’s music and audio library. These features allow your phone’s library to sync directly with your 8-Inch Display Audio Touch Screen. Comfort and Convenience: With Heated Front Seats, a 10-Way Power Adjustable Driver’s Seat, and One-Touch 2nd-Row Seats you and your passengers won’t have any trouble finding comfort on the road. Warning Systems and Traction Control: The EX trim includes Intelligent Traction Management, which automatically adjusts your vehicle’s performance in order to ensure greater safety in the snow! With AWD, this system also operates in the mud and the sand. Whether or not you opt for this upgrade, you’ll also receive a Blind Spot Information System and a Rear Cross Traffic Monitor in this trim. For just $37,760 MSRP* (2WD 6-Speed Automatic), the Honda Pilot’s EX trim offers even more comfort and convenience features that respond to your needs and desires. Leather-Trimmed Features: It’s difficult to beat the high-end feel that only a leather-trimmed interior can provide. A Leather-Wrapped Steering Wheel also comes standard here, and a Leather-Wrapped Shift Knob has been included on all Touring and Elite models. Driver’s Seat Memory Function: You don’t have to waste time finding your center every time you get behind the wheel! In the EX-L, a Two-Position Driver’s Seat Memory Function lets you save your preferred settings—and those of another driver. Power Tailgate: Loading and unloading cargo becomes a whole lot easier when you can open your tailgate with the press of a button, as you can in the EX-L. In Touring and Elite models, you’ll also be able to take advantage of Hands-Free Access. Just run your foot underneath the rear bumper to send your tailgate up or down. The Honda Pilot’s Touring trim offers entertainment features that all your passengers will relish, and its 9-speed automatic transmission allows this trim to offer a more responsive, more efficient drive. High-end connectivity features have also been included, and this trim starts is just $42,520 MSRP* (2WD 9-Speed Automatic). Blu-Ray Entertainment System: A Blu-Ray Compatible Entertainment System can bring more fun to every journey while reducing distractions for the driver and front-seated passenger. 590-Way Premium Audio System: With 10 speakers and 540 watts of power, you’ll be able to experience your music in the way it was meant to be heard. For comparison’s sake, note that this system replaces the 215-Watt 7-Speaker Audio System that can be found in the lower-end trims. Satellite-Linked Navigation System: Honda’s Satellite-Linked Navigation System lets you take advantage of turn-by-turn directions, HD Digital Traffic updates, predictive local search technology, 3D views of your environment, and even voice recognition. When you drive the 2019 Honda Pilot’s Elite trim, every adventure you take will bring unforgettable experiences. Standard all-wheel drive and an expanded array of high-end interior features make this trim a steal at $48,020 MSRP* (AWD 9-Speed Automatic). 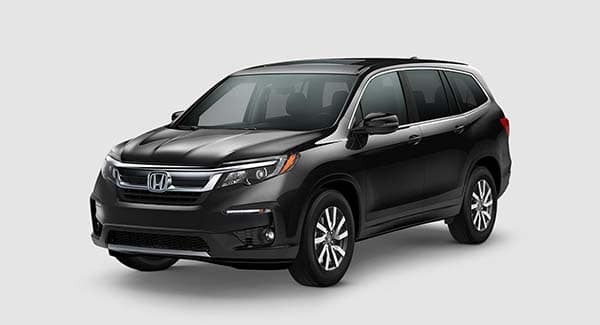 An Experience Like No Other: With a Panoramic Roof, 2nd-Row Perforated and Heated Captain’s Chairs, Heated and Ventilated Front Seats, and Ambient Lighting, it’s safe to say that no other crossover offers a Touring experience quite like the 2019 Honda Pilot’s. Wireless Phone Charger: When you take advantage of the Elite trim’s standard Wireless Phone Charger, you’ll be able to avoid the stress and hassle that so often comes along with trying to stay connected on the road. It’s high time you ditched the cords. All-Wheel Drive: Intelligent Variable Torque Management All-Wheel Drive allows your Pilot to automatically sense a loss of traction, and to correct for it before you ever notice the difference! It’s available across all 2019 Pilot trims, but it’s a standard feature only in the Elite. 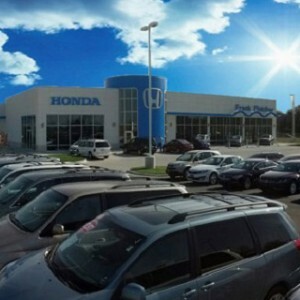 Test Drive the Honda Pilot Today! 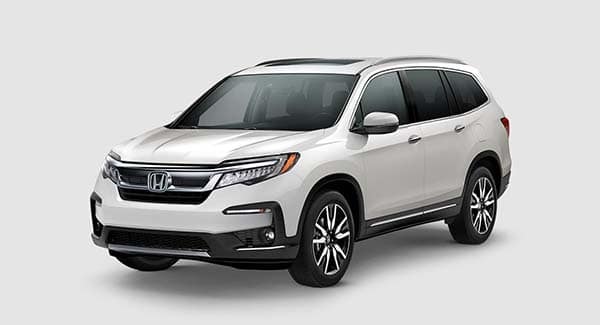 When you drive your favorite 2019 Honda Pilot trim level, you and your passengers will be able to get more enjoyment out of every mile! 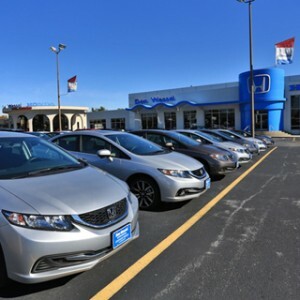 Once you’ve had the chance to explore our current offers, you’ll quickly see why so many of your friends and neighbors are so eager to get behind the wheel. 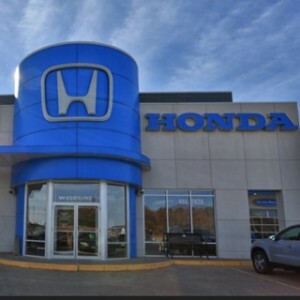 Contact your local Mid-Missouri Honda Dealer today to schedule your test drive.